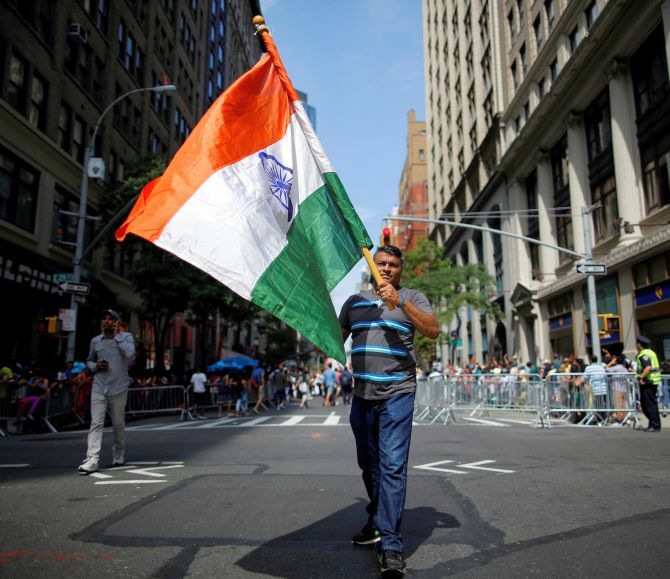 Thousands of Indians in traditional finery celebrated India’s 70th Independence Day at one of the largest parades outside the country with the iconic Empire State Building lighting up in Indian tricolour. 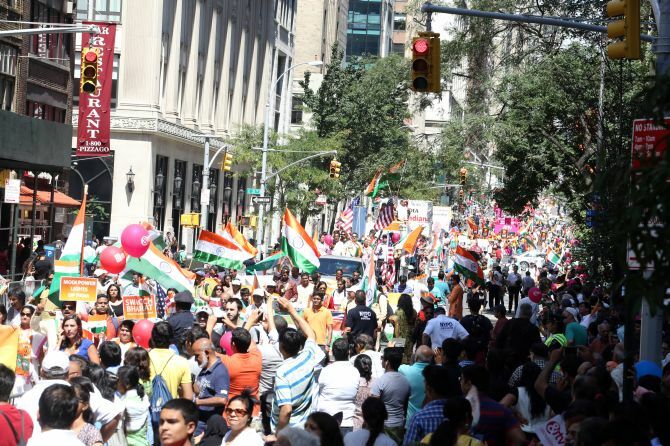 The 36th India Day Parade by the Federation of Indian Associations -- New York, New Jersey, Connecticut ran through about 13 streets in Madison avenue in Manhattan and featured tableaux by various Indian-American groups, marching bands, police contingents and cultural performances by young Indian-Americans. Chief Guest at the event Yoga guru Baba Ramdev said India represents the glory of the past, the present moment’s strength and is moving forward with hopes and dreams of a brighter future. “India has made its mark through its strength, culture, heritage and honesty,” he said, expressing hope that the Indian tricolour continues to fly high around the world. 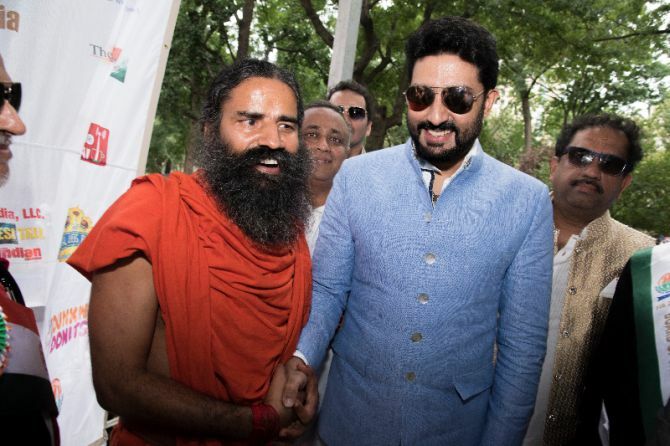 Amid loud cheers and applause, Ramdev, speaking in Hindi, said the world today recognises India’s strength and its tremendous contribution to health, education, political and spiritual system. “Combining its spirituality and modernism, the country is moving forward,” he said and called on Indians living in the US and abroad to work together to take the nation, its cultural heritage and “Indianness” to greater glory. India’s over a billion-strong population and its diaspora spread across the world are working for the country and contributing to its growth and glory from wherever they are, Ramdev said. Underscoring the importance of yoga, he said it is not just a physical exercise but a “complete medical science, life science and way of living” and promotes non-violence and harmony. “Ayurveda, non-violence, truth, harmony, co-existence and brotherhood are India’s culture and heritage,” Ramdev said, adding that the people of India have to take this ancient practice forward. 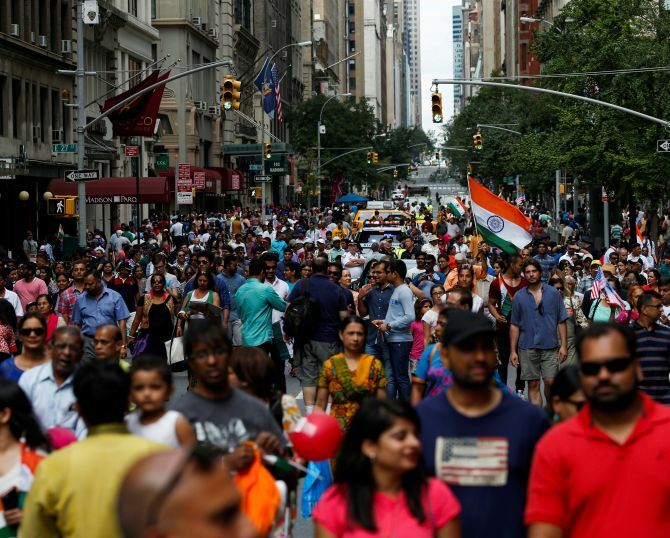 Bollywood actor Abhishek Bachchan, the Grand Marshal of the parade, said it felt 'wonderful' to be the part of India’s Independence Day celebrations in New York. 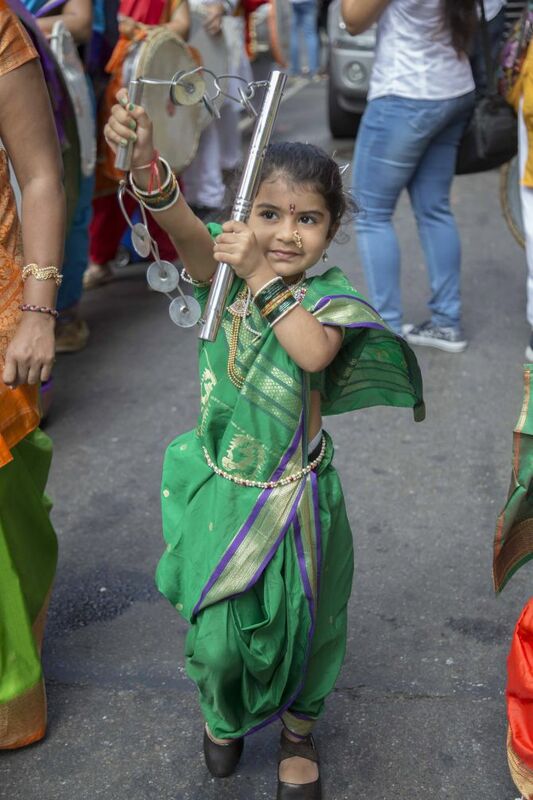 He recalled that the last time he had attended the parade was in 1997 when his father, Bollywood megastar Amitabh Bachchan was the grand marshal. The senior Bachchan had participated in the 50th anniversary of India’s Independence Day 19 years ago. “It is a huge honour to be here and represent the beautiful nation of ours,” Abhishek said, waving out to the crowd from a stage, as people thronged to click pictures with him and shake his hand. Amitabh tweeted, 'And this Abhishek in New York a short while ago... Grand Marshall for the India Day Parade in Manhattan NYC, USA. A proud moment... I was appointed the same years ago... now son follows'. India and the US share common values of plurality, secularism and justice for all, Jain spiritual leader Acharya Lokesh Muni said in a statement. The Indian diaspora has contributed significantly to America’s progress and now under flagship programs such as ‘Make in India’, ‘Digital India’ and ‘Startup India’, India is emerging as the land of opportunity for American companies. 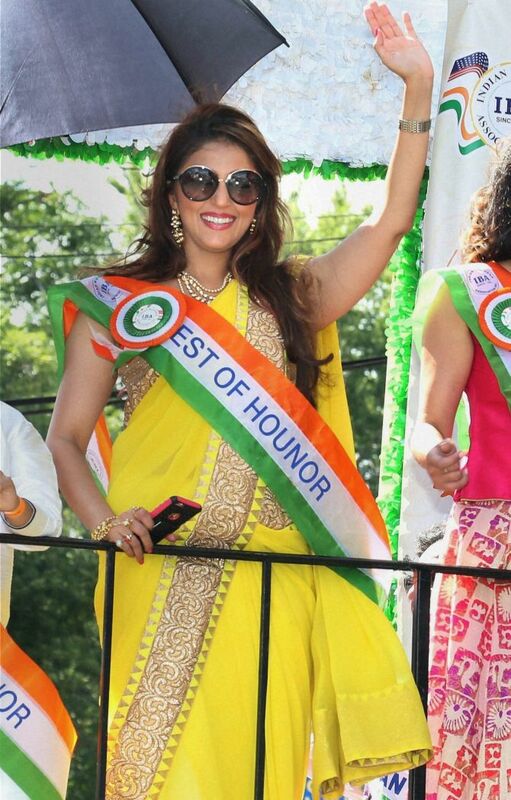 India’s Consul General in New York Riva Ganguly Das, along with several Indian-American leaders, witnessed the parade. Tamil actor Vikram was also the chief guest at the parade. 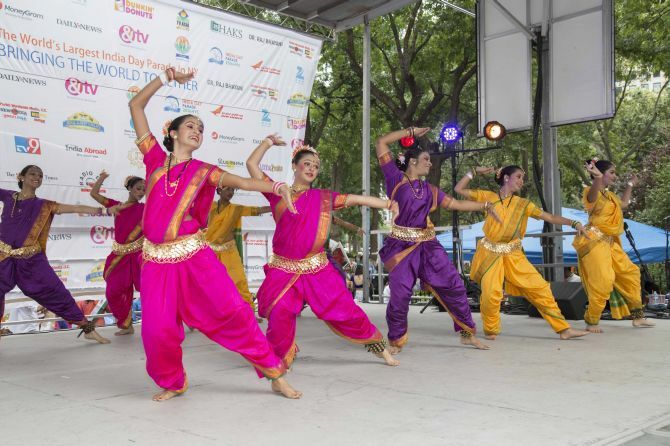 Organisers of the event said they were expecting a crowd of about 75,000-100,000 people for the day-long celebrations, which also included special food stalls, cultural extravaganza and special floats by various Indian organisations based in the US such as Air India and State Bank of India. 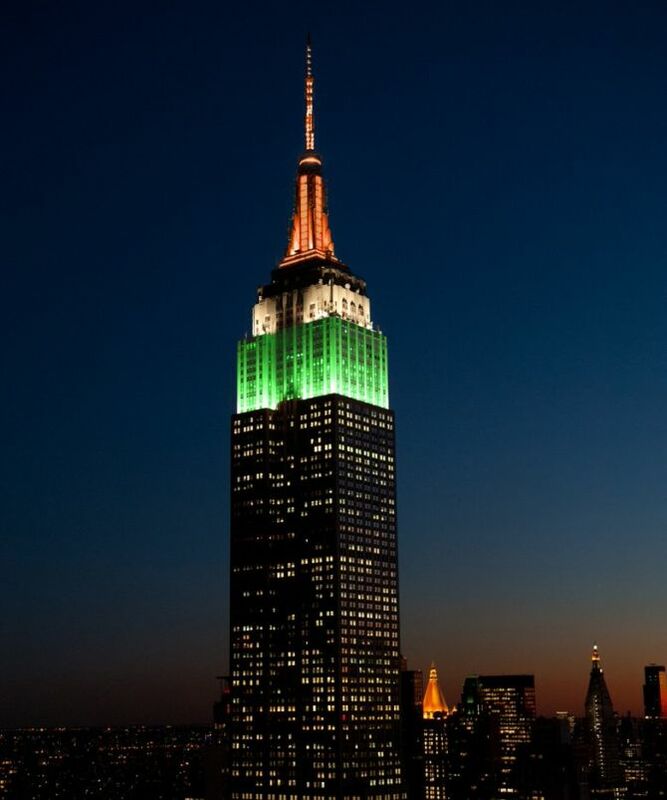 On the occasion, the iconic Empire State Building was lit up in the Indian tricolour. 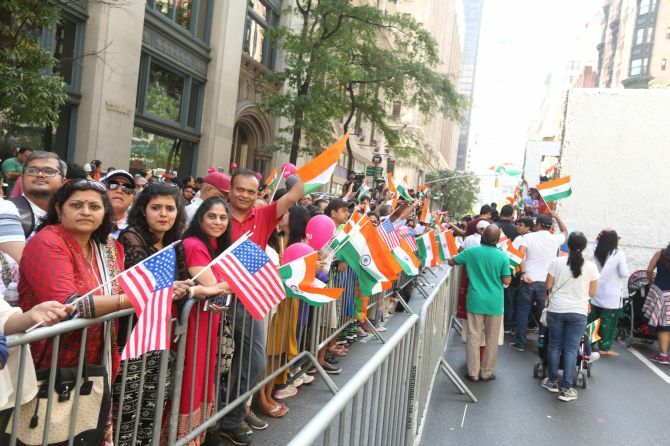 People chanted patriotic slogans such as ‘Bharat Mata Ki Jai’, ‘Vande Mataram’ and ‘Jai Hind’ and carried banners, placards along with Indian and American flags as they witnessed the floats and celebrities from the barricaded pavements along the parade route. Indian music and popular Bollywood songs reverberated through the air as people celebrated with a fervour of patriotism. Several Americans also watched the event. Families had travelled from nearby states such as Connecticut, New Jersey and Massachusetts to witness the parade, which has been an annual fixture in the city’s calendar since 1981. There was a large presence of personnel from the New York Police Department against the backdrop of security concerns doing such large gatherings. 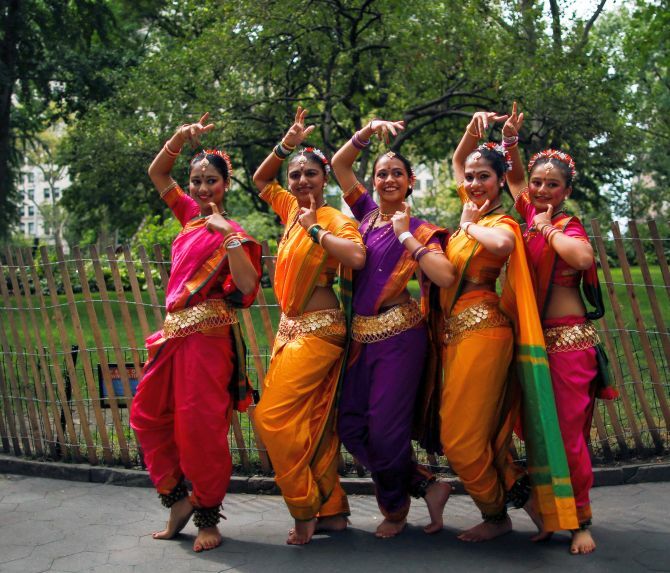 The parade showcased India’s cultural richness as well as the achievements of the diaspora through colourful floats.